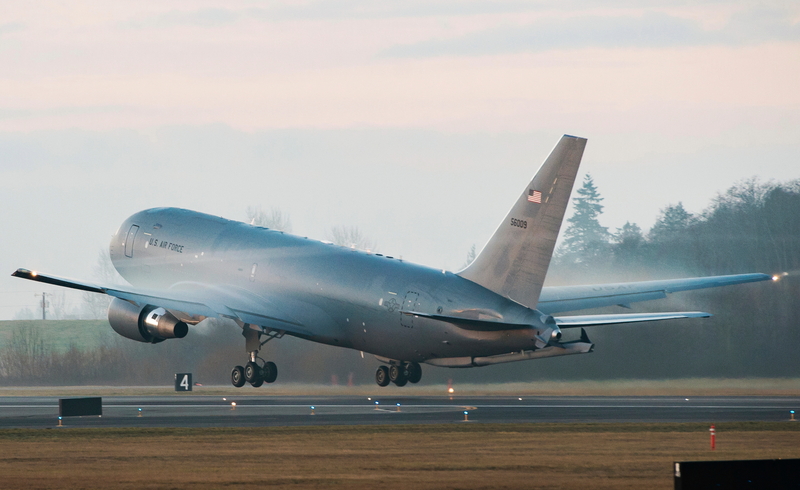 Boeing has delivered the first two KC-46 Pegasus aircraft tankers to the U.S. Air Force. The aircraft were delivered to McConnell Air Force Base, where the 22nd Air Refueling Wing is the first unit to have the world’s newest air refueling tankers. The Air Force will soon begin evaluating the KC-46’s systems in operationally realistic scenarios, which is required before the aircraft can be used in combat. USAF will also continue validating the KC-46’s refueling capabilities, with aircraft including the B-2 bomber, C-5 cargo plane, and F-35 fighter. Prior testing involved the B-52 bomber, C-17 cargo plane, and F-15E and F/A-18 fighters, among others. See latest HD Video Interviews, Podcasts and other news regarding: Boeing, Air Force, KC-46 Pegasus.